My breakfast from Bistro MD. 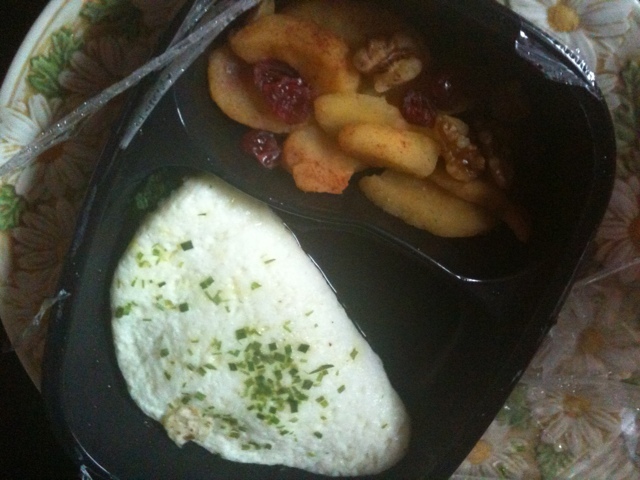 An eggwhite omelet with spinach and mushrooms, with a side of Waldorf Apples. It was very good, and I was tempted to add salt but resisted it. For 220 calories, not a bad start to the day.